Social media are among the primary sources of news in the U.S. and across the world. 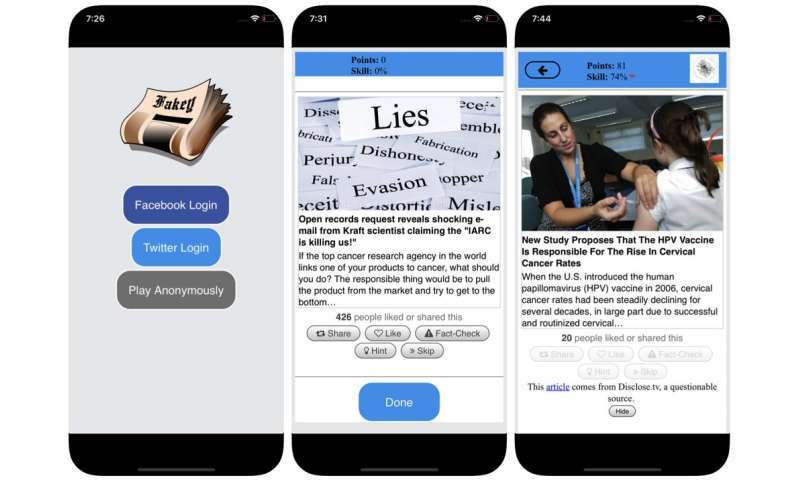 Yet users are exposed to content of questionable accuracy, including conspiracy theories, clickbait, hyperpartisan content, pseudo science and even fabricated "fake news" reports. It's not surprising that there's so much disinformation published: Spam and online fraud are lucrative for criminals, and government and political propaganda yield both partisan and financial benefits. But the fact that low-credibility content spreads so quickly and easily suggests that people and the algorithms behind social media platforms are vulnerable to manipulation. Cognitive biases originate in the way the brain processes the information that every person encounters every day. The brain can deal with only a finite amount of information, and too many incoming stimuli can cause information overload. That in itself has serious implications for the quality of information on social media. We have found that steep competition for users' limited attention means that some ideas go viral despite their low quality – even when people prefer to share high-quality content. One cognitive shortcut happens when a person is deciding whether to share a story that appears on their social media feed. People are very affected by the emotional connotations of a headline, even though that's not a good indicator of an article's accuracy. Much more important is who wrote the piece. The tendency to evaluate information more favorably if it comes from within their own social circles creates "echo chambers" that are ripe for manipulation, either consciously or unintentionally. This helps explain why so many online conversations devolve into "us versus them" confrontations. Also, if a user often clicks on Facebook links from a particular news source, Facebook will tend to show that person more of that site's content. This so-called "filter bubble" effect may isolate people from diverse perspectives, strengthening confirmation bias. All these algorithmic biases can be manipulated by social bots, computer programs that interact with humans through social media accounts. 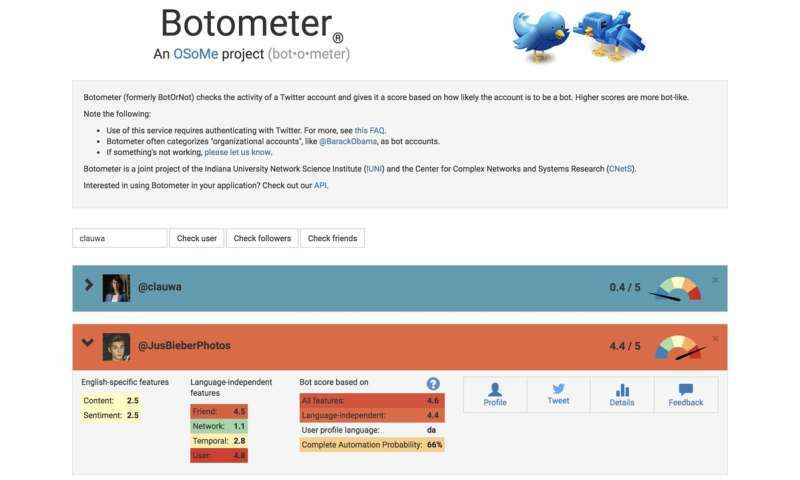 Most social bots, like Twitter's Big Ben, are harmless. However, some conceal their real nature and are used for malicious intents, such as boosting disinformation or falsely creating the appearance of a grassroots movement, also called "astroturfing." We found evidence of this type of manipulation in the run-up to the 2010 U.S. midterm election. 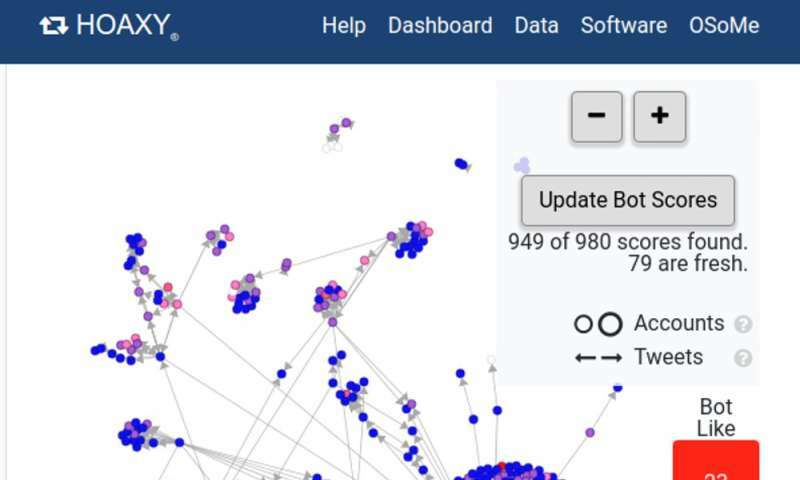 Using Botometer in conjunction with Hoaxy, we analyzed the core of the misinformation network during the 2016 U.S. presidential campaign. 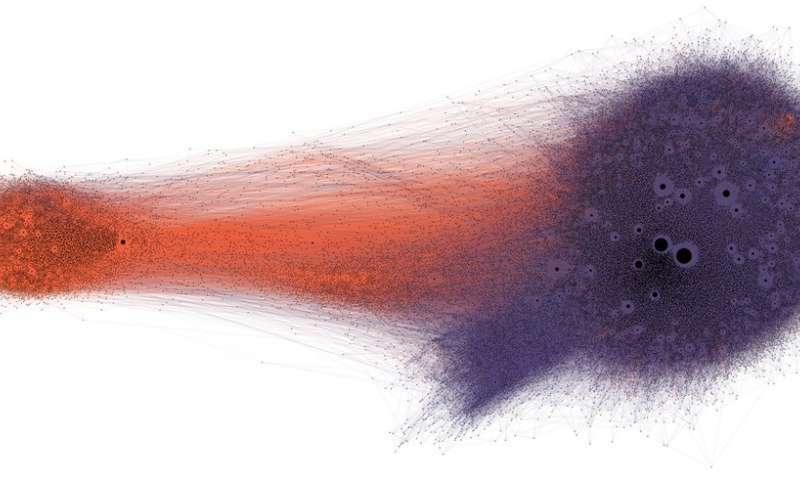 We found many bots exploiting both the cognitive, confirmation and popularity biases of their victims and Twitter's algorithmic biases. These bots are able to construct filter bubbles around vulnerable users, feeding them false claims and misinformation. First, they can attract the attention of human users who support a particular candidate by tweeting that candidate's hashtags or by mentioning and retweeting the person. Then the bots can amplify false claims smearing opponents by retweeting articles from low-credibility sources that match certain keywords. This activity also makes the algorithm highlight for other users false stories that are being shared widely. Even as our research, and others', shows how individuals, institutions and even entire societies can be manipulated on social media, there are many questions left to answer. It's especially important to discover how these different biases interact with each other, potentially creating more complex vulnerabilities. Editor's note: This article was updated on Jan. 10, 2019, to remove a link to a study that has been retracted. The text of the article is still accurate, and remains unchanged. Consider, Ann Coulter said children crying when separated from illegal alien parents are coached to by Democratic Racketeers to gain sympathy. This is based on an article by Suketu Mehta about an African woman seeking better earnings in the U.S. counseled to claim she was raped where she lived. How many reports of women raped, then, is fake news? The article didn't mention children being coached. Ms. Coulter extrapolated! But it's denounced. In "Sweet Smell of Success", conniver Sidney Falco is J.J. Hunsecker's bully boy, engineering his wishes. Those who understand the world around them see Falco's tracks, even if only his always being around when things happen. Falco counters with liars' tricks, like saying he has a right to be wherever he wants, saying the victim shouldn't blame others for their faults, accusing the victims of being paranoid. The liars don't like people who extrapolate, accusing them of "conspiracy theories" and so on.